Cakes# When making a cake batter with more than two mixtures going together, don't incorporate the batters 100 percent until the final addition. Mix them just 75 percent. This helps avoid overmixing. 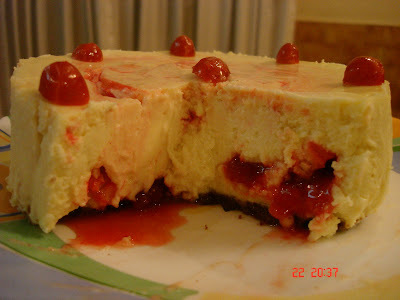 # "Comb" cake batter up the inside of the cake pan with a spatula and the cake will rise better. # Don't poke a cake with a toothpick or other cake tester; if it isn't done and must return to the oven, then you've just given moisture a way to escape. Instead, touch the center lightly; it is done when it springs back. # When making a tart or pie dough, don't mix all the way until the dough comes together. Instead, when the dough is nearly together, place it on a large piece of plastic wrap and gently mold together by hand into a ball in the wrap. This will help prevent overmixing. # While you're at it, roll the dough out partway in the wrap. First, unwrap the ball of dough partially so that the wrap is under the ball. Place another piece of wrap over the dough. Gently flatten with your palm into a flat disc. Then roll out the dough, still between the layers of wrap, until close to your finished size. Now the dough is ready to chill until ready for final rolling out between plastic wrap. # Two strips of thin wood placed on either side of your rolling pin can help you roll more evenly. Try paint stirrers found at hardware stores. # Avoid using a serving dish that detracts from your pastry. You want the eye to be enticed by your work, not the dishware. 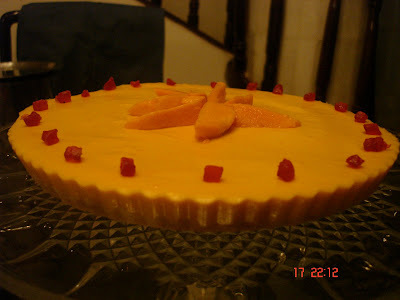 # When prebaking a tart crust, take it directly from the freezer to the hot oven. A crust will form before the dough thaws, retarding shrinkage of the crust. 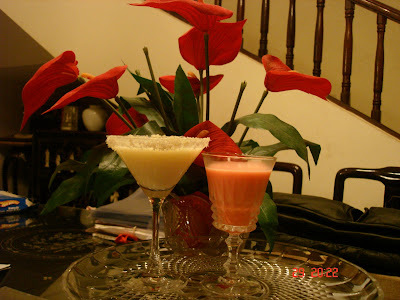 A lonely glass of juice or cola looking wistfully at an exotic Cosmopolitan or a pinacolada. Boring teetotalers! Not necessarily true. The rules of looking good apply universally and do not have to be partial to cocktails. 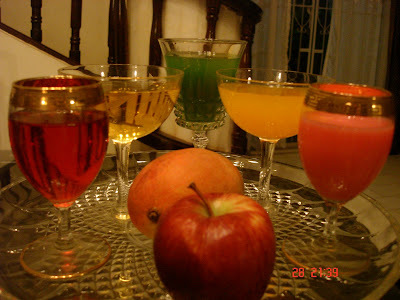 You can use good glassware to serve anything from a simple juice to a mocktail. Why, even water looks brighter in a nice glass. Lots of ice, slices of fresh fruit, mint and stylish glasses will elevate even the most ordinary drink. Some mint sprigs over jal jira. A green chilli and coriander over buttermilk or a sprinkling of roasted jeera over aam panna. Let’s take the simple iced tea to greater heights. All you have to do is flavour the tea with aromatics such as orange peel, lemon grass or ginger before you pour it on ice. Fill a stylish beer pilsner glass with ice. Add a generous measure of lemon juice, sugar, mint leaves and pour in hot tea. Stir and top with more ice. Garnish with a fruit slice and more mint. You should also try mixing a thousand milkshakes and generously dousing them with ice cream. 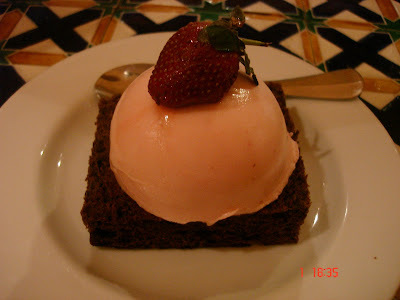 Fresh strawberries, chickoos, mangoes, bananas; the more usual cold coffee and chocolate treated with butterscotch ice cream. Serve them in steamed beer goblets or footed pilsners. Garnish with fruit or wafer biscuits. Pina colada is everybody’s favourite drink. It isn’t difficult at all to make. Rim a glass by dipping it in pineapple juice and then into a plate of dessicated coconut. Put a few cubes of ice in a blender, add 120ml pineapple juice, a scoop of vanilla ice cream, a spoon of cream, 60 ml coconut milk and blend. Then there are the frozen mixes. Fill a jug with crushed ice, add a dessert topping, lime juice, soda or lemonade and slush it together using a hand blender. Pour into a nice stemmed glass and garnish with fruit or mint. Make an exotic punch using frozen lichees or frozen pineapple with coconut water, even frozen watermelon with pineapple juice. Pour into stemmed wine glasses. They’re simple, easily accessible and quick. They also taste and look very good. 1. Chocolate is much more than a mood enhancer, energy booster or aphrodisiac. In fact, chocolate contains vitamins A, B1, C, D and E, as well as potassium, sodium, iron and fluorine. 2. Chocolate is a good source of copper and magnesium, which helps to regulate heartbeats and blood pressure. 3. Researchers have found that raw and / or minimally processed cocoa contains flavonoids similar to catechins found in green tea, which help prevent heart disease and possibly cancer, as well as boost the immune system. 4. Amazing as it sounds, chocolate can help decrease blood pressure. One study found that a substance in cocoa helps the body process nitric oxide (NO), a compound that maintains healthy blood flow and blood pressure. Another study showed that flavonols in cocoa prevent fat-like substances in the blood stream from oxidizing and also blood platelets from sticking together thereby avoiding the formation of clots. 5. Chocolate improves blood circulation and lowers death rate from heart disease. 6. The fat from cocoa butter comprises equal amounts of oleic acid (a heart-healthy monounsaturated fat also found in olive oil), stearic and palmitic acids. Though saturated fats are linked to increases in LDL-cholesterol and risk for heart disease, research indicates that stearic acid appears to have a neutral effect on cholesterol, neither raising nor lowering LDL-cholesterol levels. 7. Chocolate provides magnesium, which helps increase pre-menstrual progesterone levels before periods, and improved your mood. A Word Of CautionThough chocolate has a lot of health benefits, having a decadent piece of chocolate once in a while is not going to harm you. But don’t go rushing to stock up on all the chocolate products you can fit into your refrigerator! And while no one is going to claim chocolate is the ideal diet food, a dieter can add a small piece of chocolate to her diet food, a dieter can add a small piece of chocolate to her diet if she subtracts an equivalent amount of calories by cutting back on her foods.While moderate amounts of dark chocolate may have some heart benefits, many claims are unproven and much more research is needed before chocolate can take its place amount true healthy foods, such as fruits and vegetables, which also contain other vitamins, minerals, and fibre not found in chocolate. So don’t turn your back on traditionally healthy food. That said, occasionally replacing the regular sweet treat in your diet with the darkest chocolate you can find (look for a high cocoa content) is a great idea, so go for it! * Use cake flour if the recipe calls for it. If you don't have it on hand, measure 2 tablespoons of cornstarch into a 1-cup dry measure, then fill with all-purpose flour and blend. * Use aluminum pans with a dull finish and straight sides. * Cake pans should be at least half full with batter. * Use vegetable shortening to grease pans. * The perfect temperature for baking most cakes is 350 degrees. * Bake cakes in the center of the oven. * Don't open the oven door until you're very sure the cake is close to done. * To see if it's done: Touch the center of the cake. If it springs back and the sides have pulled away from the pan, it's done. Or try the toothpick test. Insert a toothpick in the center. If the toothpick is clean and dry when you pull it out, the cake is done. * Cool cakes about 10 minutes before removing them from their pans. Let a cake cool completely before slicing or icing it. 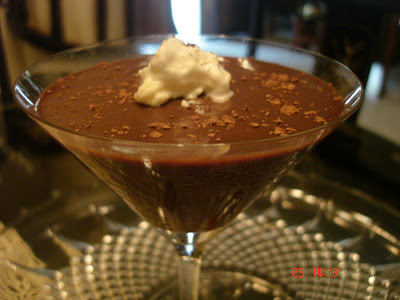 For the Best in Sweets recipes, Desserts & Drinks , Log on to..
* BUYING: Look for firm, plump berries with deep color. Avoid mashed or overripe fruit, which might be moldy. Purchase extra fruit in-season and freeze for later use. * STORING: Store unwashed berries in the refrigerator for up to three days. Place them in a shallow container on a paper towel to absorb moisture. Leave uncovered. Rinse just before using. * WASHING: Place berries in a colander over the sink and spray them with cold water. Gently shake the basket to remove excess water. 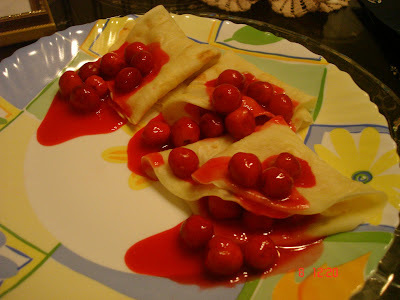 * FREEZING: Place washed berries in a single layer on a baking sheet lined with a paper towel. Gently pat dry with a second paper towel. Place baking sheet in freezer until fruit is solid. Transfer fruit to a self-sealing plastic bag. Berries will keep in freezer for up to one year. * USING: Add to salads; use as a filling for pies and cobblers; add to sauces for poultry and meats; puree and serve over ice cream or cakes; make jam. one of the great international cookery writers and broadcasters, Nigella Lawson. In ‘Nigella Bites’, she writes, “If I am being honest, for me all food is comfort food, but there are times when you need a bowlful of something hot or a slice of something sweet just to make you feel that the world is a safer place. We all get tired, stressed, sad or lonely and this is the food that soothes.” In her chapter on comfort food, Nigella includes traditional favourites like mashed potatoes, salmon fish cakes, chicken soup and rice pudding. In doing so, and in including dishes that are really identified with school and childhood, in effect nursery food, she had hit upon something. Comfort food is a state of mind. All food to a greater or lesser extent induces some measure of comfort. In this respect, comfort food is the opposite; it is food to be eaten for the sake of comfort and not to give you a size eight figure. For many, there is a tendency to rebel against these new notions of food and a desire to recall the simplicities of the past when there was food and special occasion food such as that served at festivals and weddings. There was no desire to taste Beluga caviar with a glass of Krug, those decadent tastes were reserved to a few highly westernized families. For the baby boomers, the generation born after Independence, memories stretch back to a golden era when the sole criterion to judge a dish was its taste. such is the stuff of nostalgia and memories of times past, it is to these memories that we return and the food we call comfort food is not only delicious but comforting as well, in that it recalls happy times and an innocent past. Comfort food is in essence gastronomic nostalgia. 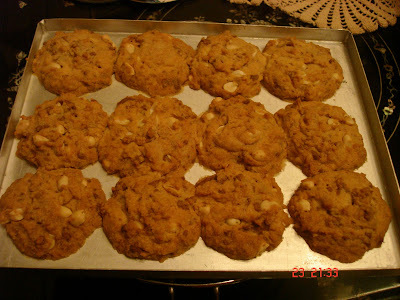 For the best in sweets recipes & Desserts, Subscribe to..
cookies are either thinner or whiter, such as sugar or gingerbread cookies, and less obtrusive in more robust ones like oatmeal or chocolate chip. to be denser and darker. To find out your tolerance level, it is best to do some experiments. I'd start by replacing about 25 percent of the all-purpose for delicate cookies. ratio with almost no taste or textural differences. * To minimize the spreading, bake them on parchment paper instead of greasing the pan, which allows less "hold." * To let the brans soften and feel less gritty, cool and store the cookies in a closed jar for 24 hours before eating. To this day, the history about Ice cream remains a mystery. However many say that the first Ice cream is credited to Emperor Nero of Rome. It was a mixture of snow, nectar, fruit pulp & honey. Others proclaim that Marco Polo, a 13th century adventurer, brought ice cream to Europe from the Far East. So which countries like ice cream the most? The United States , New Zealand, Denmark & Australia top the list. The favourite flavour is the classic Vanilla. then comes Chocolate, strawberry, Neapolitan & Chocolate chip. How do these line up with your own list of favourites? The most popular topping for ice cream... Chocolate syrup. Around 13% of men & 8 % of women will admit to licking the Bowl clean after eating the ice cream. Biggest Ice cream sundae - 12 ft tall. This one was made with 4667 gallons of ice cream in California in 1985. The average single scoop ice cream takes 50 licks to finish. sourced from Grandma.... webmaster at the Baby names Box. This is your typical Swiss cheese with large holes that was made famous by Jerry of Tom & Jerry fame! Emmental tastes great when used in sandwiches. Since the cheese cooks well you can use it while gratinating a baked dish or to produce a lovely golden crust on top of some delicious oven roasted potatoes! Emmental is mainly used, together with some Gruyere cheese and white wine, to make authentic Swiss Fondue. An original blue cheese, Gorgonzola is best eaten raw to enjoy all the nuances of flavour that a blue veined cheese provides. It is usually kept wrapped in foil to keep it moist. You can enjoy Gorgonzola plain with some crackers or tossed into a salad or dip. However, first timers beware-this cheese has a distinct sharp aroma that may shock you senseless! This sweet and fruity flavoured cheese is produced in the Dutch town of Gouda, just outside Rotterdam. Mature Gouda (18 months plus) is coated in black wax, which provides a stark contrast to the deep yellow interior. You can use the world renowned Gouda as a table cheese to be served along with crackers or in a salad. You can also serve Gouda as a dessert cheese along with some fresh fruits and dessert wine. Ricotta is a very useful Italian cheese made from the whey left over while making cheeses such as mozzarella or provolone. Not unlike mascarpone in northern-Italian cuisine, ricotta is a favorite component of many Italian desserts, such as cheesecakes and cannolis. It is often beaten smooth and mixed with condiments, such as sugar, cinnamon and occasionally chocolate shavings, and served as a dessert in Italian households and dining establishments. You can use ricotta in dishes other than desserts, such as the very popular lasagna. This famous English cheese is produced in two varieties: the well-known blue and the lesser-known white. Blue Stilton is often eaten with celery. It is also commonly added as flavouring in vegetable soup, most notably cream of celery or broccoli. Alternatively it is eaten with various crackers, biscuits and bread. Traditionally, port wine is drunk with Blue Stilton. White Stilton has not had mould introduced into it which would otherwise lead to the blue veining normally associated with Stilton. 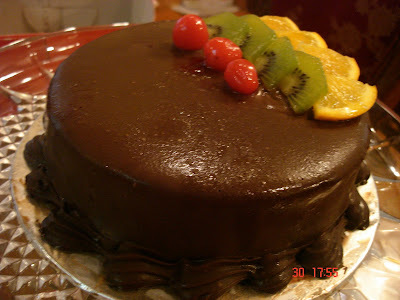 It is often blended with other materials, such as chocolate or dried fruit, or served with fruit cake. 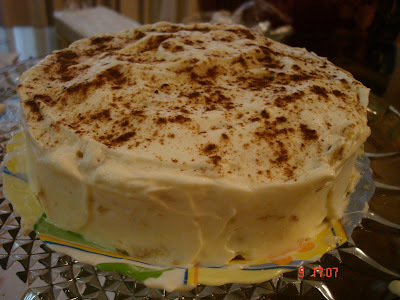 Mascarpone is the original “Tiramisu” cheese. It is combined with espresso coffee, eggs, sugar, cocoa, and rum to form this wonderful dessert. When fresh, it smells like milk and cream, and is often used instead of butter to thicken and enrich risotto, a delicious and creamy Italian preparation made with short grain rice. Mascarpone is also used to make lasagna. It is readily available at most large provision stores. Parmesan is a very hard cheese that is widely used in Italian cooking. It is beset when grated and can be sprinkled over anything from pizzas to pastas. You can also stir Parmesan into your soup or risotto or eat it in chunks with balsamic vinegar. Various versions of Parmesan are available in the market. It is produced in large circular slabs and sold in slices. Some international brands sell grated Parmesan in bottles. Cheddar is one of the most delicious and widely available cheeses in the world. It can be used for everything from cooking and gratinating to being served as a table cheese with some crackers and wine. Cheddar is a good choice for beginners who want to experiment with cheese as an after dinner course. Feta cheese looks similar to cottage cheese when it is fresh and steeped in brine solution. Once removed it starts to dry rapidly. It is used as a table cheese with wine and crackers, in salads and while baking. The popular Greek dishes Spinach Pie and Cheese pie are made with feta cheese. It also forms an important ingredient of the popular Greek salad. At home you can also use it for grilled sandwiches or as a substitute to other salty cheeses in various dishes. A Smoothie is a blend of fruit, fruit juice and ice. But you can also add sorbet, ice cream, yogurt, soy milk, protein powder and even ground Flaxseed for flaour and extra nutrition. If you are in charge of what goes into the lender, you can make your smoothie into a meal that’s packed with proteins, fiber, energizing carbohydrates, vitamins, minerals and phytochemicals that help stave off age related diseases.Here’s a guide to smoothie- making basics: Start with a lender with a tight fitting lid. Cut all ingredients small so that they blend completely. Put ½ cup crushed or cubed ice in the blender, then add the following:FRUIT (select two or three) : ½ cup berries (strawberries, blueberries or black berries- fresh or frozen); medium orange; 1 medium kiwi; ½ banana; ½ cup pineapple; ½ cup cubed papaya or mango.JUICE (select one or more; use half cup total): carrot, cranberry, grape, grape fruit, guava, kiwi, strawberry, pineapple, prune or tomato; 3/4th cup plain yogurt( non fat or low fat); 3/4th cup milk or soy milk; 1 scoop isolated soy protein or whey protein powder.FROZEN TREATS (optional for taste) : Fruit sorbet; frozen yogurt; ice cream ( low fat or regular)EXTRAS (To add nutritional boost and/or flavour; select one or two):2 tbsps ground nuts (good source of vita E); 2 Tbsps Flaxseed meal ( good source of omega-3 fats); 1 Tbsp cocoa powder; 1 Tbsp honey; 1/4th tsp vanilla extract; 2 Tbsp wheat germ or oat Bran( this thickens your smoothie, so you may need to add more lquid). Put all moist ingredients (fruit, yogurt etc) in the blender and spin on high for about 30 seconds.Kick the speed to low and blend for a few seconds longer. If you are including dry ingredients like protein powder or cocoa, add them now on low, to help keep them from sticking to the sides.Stop the blender ad jiggle it to get an idea of the consistency, if you need more liquid, add it and blend for another 15 seconds. Breads: yeast breads, coffee cakes, muffins and quick breads. Cool completely; do not frost or decorate. Place coffee cakes on foil-wrapped cardboard beforefreezing. Up to 1 month Unwrap slightly and thaw at room temperature for 2to 3 hours. Serve at room temperature or reheat, wrapped in foil, at 350 degrees F. for 15 to 20 minutes, or wrap in paper towels and microwave (briefly, to avoid a tough texture) for 5 to 40 seconds. .Cookies: baked cookies can be frozen Wrap unfrosted cookies in airtight ,moisture-proof wrap or place in plastic containers. If frosted or decorated before freezing, first freeze quickly on cookie sheet; then package frozen cookies between layers of waxed paper in rigid container for further freezing.Unfrosted-4to 6 months Frosted-1 to 2 months Thaw in package at room temperature. For cookies that should be crisp when thawed, remove from container. Pies: baked pumpkin or pecan pies and either baked or unbaked fruit pies. Cool baked pies quickly. For unbaked pies, brush the bottom pastry with eggwhite before filling to prevent it from becoming soggy. Do not slit the top pastry. Cover pies with an inverted foil or paper plate and then wrap. Baked: upto 4 months Unbaked: up to 3 months Baked: Unwrap and heat at 325 degrees F.for 45 minutes or until warm or room temperature. Unbaked: Unwrap, cut slits in the top pastry and bake at 425 degrees F. for 15 minutes, then bake at375 degrees F. for 30 to 45 minutes or until the center is bubbly. Pies: chiffon, custard, pudding, cream and pies with meringue topping do notfreeze well. Do not freeze well. You can freeze overripe bananas to later use when making banana bread,banana muffins, banana pancakes, banana waffles, as well as banana batteredFrenchtoast. You can either peel them and freeze them on a cookie sheet then putthem in a baggie or you can freeze them in the peel.To use let thaw and mash as normal for the recipe.If you leave them in the peel when you freeze them, you can just cut one endof the thawed out banana and squish the banana out. When decorating cakes for a variety of occasions, you'll want to make sure that the colors you've chosen are delectable. Certain colors and color combinations may evoke a positive response from the taste buds of your cake-eating audience. Very intense colors are usually less appealing to the palate than are softer colors. Complimentary color schemes, which may work well in a striking graphic design, do not have much taste appeal. Finally, too many colors can create a hodgepodge of hues that compete with each other. Here are three sure-fire techniques selecting tasty color schemes that will appeal to the palate. USE PASTEL COLORS The safest method for selecting colors is to use three pastel colors. Select the lightest color for the basic icing on the cake. If your colors are sufficiently pale, you can even combine complimentary colors without the jarring effect obtained complimentary colors at full strength. Note that you can increase the strength of one of the colors for a bit of contrast. 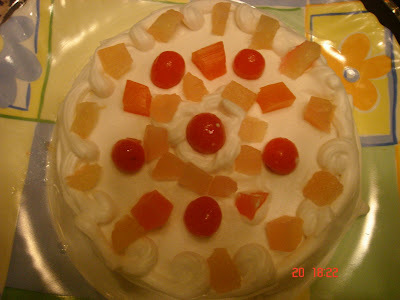 For example, ice a birthday cake with white or pale ivory icing. Add pink roses (they can be shades of the same pink) with pale green leaves. The red and green on which the pastel colors are based would vibrate intensely if used at full strength, but they are both eye and appetite appealing when rendered in pastel hues. For a shower for a mom expecting a baby boy, ice the cake in pale blue. Add icing booties in pale yellow and white, or select pre-made decorations in the same colors. USE A PASTEL BACKGROUND FOR INTENSE COLORS Clearly, there are occasions that call out for a cake with bright colors. Once again, using a pale icing as the background for brighter colors. This approach is often used for kid's birthday cakes, which may feature a cartoon character or other popular theme. For a clown cake, you'll want to use some bright primary colors. For the basic icing, use white or the palest of pinks. Then, you can use bright reds, blues, oranges, and even black icing or decorating gel to make the clowns features. Because the bright colors are used in small amounts against a light background, they provide both taste and eye appeal. USE CHOCOLATE FOR A DARK BACKGROUND In general, dark colored icing is not very appealing. Most of us are not likely to greet an acid green, navy blue, or intense red cake with enthusiasm. Without fail, though, chocolate lovers will greet the dark brown color of a cake iced in chocolate or fudge icing with high expectations for the flavor. When you ice a cake with chocolate icing, decorate it with pastel colors. Once again, limit the color palette to two or three pastels. For Father's Day, make a rectangular cake and ice it with chocolate fudge icing. Turn the cake so that the narrower side is at the top. Near the top of the cake, with ivory icing create a shirt collar. Use pale orange to create a necktie below the collar. Add a design to the tie in a slightly deeper orange. Other colors that look especially nice against a dark brown background are: * pale yellow, peach, and orange * pale yellow, pale green, and white * pale pink, peach, and white * white, pale turquoise, and peach * pale yellow and peach * white and pale orange Finally, as you choose colors for your cake, think about colors that occur naturally in the foods we eat every day. That will help you stay away from colors like chartreuse, intense blue greens, and intense purples, that appear particularly acid or poisonous. Pastel color schemes are the safest, but brighter colors can be used very successfully against a pale background. 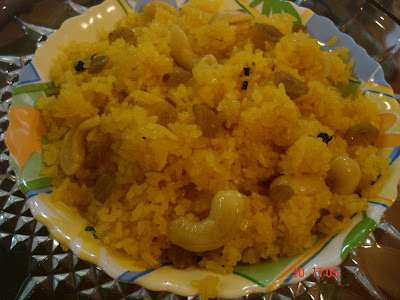 For the Best in sweets recipes n desserts, Indian sweets n exciting Coolers, subscribe to.. TOMATOES – A major source of the antioxidant lycopene that reduces the risk of cancer by 40% - notably prostate, lung and stomach cancers – and increases cancer survival. Tomato eaters’ function better mentally in old age and suffer half as much heart disease. Concentrated tomato sauces have 5 times more lycopene that fresh tomatoes and canned tomatoes have three times more than fresh. OLIVE OIL – Shown to help reduce death from heart disease and cancer. Recent research shows that heart-attack survivors on a Mediterranean diet had half the death rates of those on an ordinary low-fat diet. Olive oil is also high in antioxidant activity. RED GRAPES, Including red grape juice. Red grapes have moderate antioxidant power, while purple grape juice has four times more antioxidant activity than Orange or tomato juice. Red wine (not white) has about the same antioxidant capacity as purple grape juice or tea. French research shows that drinking red wine in moderation increases longevity, but excessive drinking has the opposite effect, so limit to two glasses per day. Drink grape juice. GARLIC – German researchers have found that garlic is packed with antioxidants known to help fend off cancer, heart disease, all-over aging, and prolong cancer survival time. Let crushed garlic “rest” for about 10 minutes before cooking to preserve disease-fighting agents. SPINACH – Second among vegetables only to garlic in antioxidant capacity and is also rich in folic acid, which helps fight cancer, heart disease and mental disorders. New University of Kentucky research shows folic acid may help prevent Alzheimer’s disease. Eat both raw and steamed for best benefit. WHOLE GRAINS – A University of Minnesota study suggests the more whole grains you eat, the lower your odds of death by 15%. Whole grains contain anticancer agents and help stabilize blood sugar and insulin, which may promote longevity. Whole-grain “dark” breads, cereals such as All Barn, and “old fashioned” oatmeal are an excellent source. SALMON AND OTHER FATTY FISH – Contains high amounts of omega-3 fat that performs miracles throughout the body, fighting virtually every chronic disease known. Without it, your brain can’t think, your heart can’t beat, your arteries clog, and joints become inflamed. You need one ounce a day, or two servings of salmon, sardines, mackerel, herring or tuna per week. NUTS – A Harvard University study found that eating more than 5 ounces a week can cut heart-attack deaths in women by 40% and help prevent deadly irregular heart beats in men. 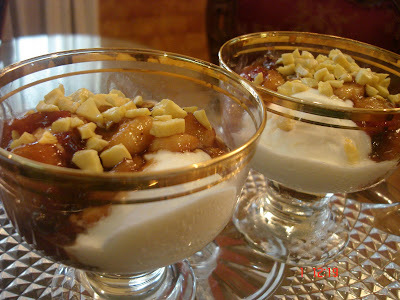 Almonds and walnuts lower blood cholesterol. Most of the fat in nuts is the good-type monounsaturated and/or omega-3. Unsalted nuts are best. BLUEBERRIES – High in antioxidants, Tufts University researches say a half-cup of blueberries a day can retard aging and can block brain changes leading to decline and even reverse failing memory. TEA – Green or black tea has equal antioxidant benefit. Harvard researches found that one cup a day can cut heart disease risk in half, whilst Tufts University shows that made from loose tea or tea bags, instant or bottled tea has little effect. Cream greeting and smiles thoroughly. Add hugs separately. Slowly stir in love. Sift sympathy and hospitality and fold in carefully. Bake in warm heart. Serve often. for exciting sweets, desserts , indian sweets n exotic coolers log on to..
Lemons have the ability to prevent scurvy. This dreadful Vitamin C deficiency disease can be kept at bay by consuming a little over a tablespoon of lemon juice daily. The World Health Organisation brought out a useful book of home remedies (The Use of Traditional Medicine in Primary Health Care) that tells you how lemon promotes digestion and is used for treating vomiting, especially during early pregnancy. The dose is : 1 teaspoon lemon juice three times a day. All lemon-scented plants with their refreshing scent help brighten up our moods. A hot lemon drink with honey helps to treat colds and flu. The fresh juice applied externally helps to neutralize poison of wasp stings. Lemon grass makes a tasty and soothing drink. It is easy to grow in the garden. People suffering from arthritis must drink plenty of lemon juice and other citrus juices. It helps strengthen their joints and connective tissues. It is a misconception that citrus fruits increase acidity. It is also useful for treating high blood pressure and palpitations. For indigestion : Extract juice from a piece of fresh ginger, mix it with a teaspoonful of lime juice, sprinkle rock salt powder to reduce the sour lime taste and drink it. For diarrhea: Take equal quantities of onion juice and lime juice ! In the South many people try out this interesting cure for bleeding piles. Slit a small lime into two and sprinkle rock salt powder inside it. Then place it on the tongue and slowly sip the juice ! Citrus honey : A healthy way to eat your French toast is to pour citrus honey over it. Take one strip orange rind (one and a half inches) and another strip of lemon rind, one tablespoon of fresh orange juice and two teaspoons fresh lemon juice. One cup honey. Lemonade syrup : You will need grated rind of 6 lemons, juice of 12 lemons, 2 quarts boiling water, 21/4 cups brown sugar, cold water and ice cubes. Combine the rind and juice and let it stand overnight. Pour the boiling water over the sugar, stir to dissolve, when it comes to a boil, let it boil for five more minutes. Then let it cool. Dilute lemonade syrup with equal parts of cold water and serve with ice cubes. In the Kitchen : If you are fond of shellfish then the lemon is your friend, as a squeeze of it can rid shellfish of 92 per cent of its bacteria ! The lemon’s crushed pips mixed with honey will eliminate threadworms too ! Dried herbs and spices never go bad, so they won’t make you sick. But over time, their flavour fades. Prolong the power of your seasonings by keeping them in a cool, dry, dark place away from heat. Red-coloured spices like cayenne pepper and paprika are the exception. Pantry bugs such as meal moths and flour beetles like anything red, so store these spices in the fridge or freezer. When cooking, sprinkle the desired amount into a cup or spoon, not directly over the pot, which allows steam inside the bottle. Two to three years : Ground spices such as paprika, cinnamon and nutmeg. Three to five years : Any whole spice, including peppercorns, cloves and cinnamon sticks. Satisfying an occasional craving for comfort food is a great stress-buster because it leads to physical and mental satiety, which in turn triggers off the feel good factor. Occasional bingeing helps us detangle our emotions and focus more productively on the task at hand……..writes Neeta Lal. Been resisting that gooey chocolate cake in the fridge for a while? Well, go on and indulge now. For research is increasingly supporting the view that occasional indulgence in ‘comfort foods’ directly and strongly impact our minds and body. Ergo, some foods send strong messages through neurotransmitters or ‘chemical messengers’ to our brain, influencing our emotions and moods. “Calorie-dense foods – like chocolates, sweetmeats, deep-friend items, junk food and ice-cream – have pleasurable associations, which lead us to crave for them,” explains physician Dr. Ravinder K Tuli, Head of the Department of Holistic Healing, Apollo Indraprastha Hospital, Delhi. “Similarly, certain nutrients like fats and complex carbohydrates have physiological properties which act as mood elevators. These nutrients release endorphins, the feel-good hormones, in the body, thus heightening our sense of wellbeing”. But what exactly are these “feel-good” foods? Comfort foods are those foods which address a person’s emotional needs more than a physical one,” explains psychologist Dr. Jitendra Nagpal, Senior Consultant, Vidyasagar Institute of Mental and Health and Neurological Studies (VIMHANS), New Delhi. “Physical satiation is usually not the agenda here. Since reaching out for comfort food signals an emotion-linked hunger, the reasons could vary from depression, stress at work and broken relationships to diet plans gone awry, anything”. Also, emotional eating is irrational, says Ishi Khosla, a Delhi-based clinical nutritionist. “You just don’t want it to end, you want to keep gorging on whatever is available, regardless of the food’s nutritive value. On the contrary, real and physical hunger sends an unambiguous signal to the brain to stop when our tummies are full”. Also, adds Khosla, emotional hunger riddles us with guilt while normal hunger seems “well-earned and, therefore, leads to no negative feelings”. Another way to distinguish real hunger from emotional hunger, according to some dieticians, is that the latter invariably strikes when we’re depressed, bored or lonely”. And this is a really vicious circle because depression propels us to eat more, which in turn makes us put on weight,” says Khosla. “And added weight makes no one happy. So make sure that you’re not establishing a hard-to-break pattern for yourself”. Good advice, given that women, especially, are socialized to co-relating their self-image with current beauty norms. According to Nagpal, pre-menopausal women need to be especially careful while reaching out for comfort foods because, at this age, their hormones are wreaking havoc, with their systems in any case. This makes many women overly emotional which, when combined with other factors like depression and lifestyle stress, could lead to frequent binge eating for comfort. Apart from analyzing one’s food intake, one also needs to probe one’s emotional needs. Why is it that we are seeking comfort in food ? This brainstorming, say psychologists, really works because, over a period of time, the mind learns to divert itself effectively. In fact, as soon as emotional hunger strikes, specialists advise that we should try and funnel our energy into diversionary activities like gardening, going out for a walk, meeting up with friends, writing that long overdue letter, reading a good book or playing with pets.